Jacksonville Vision Center of Jacksonville, North Carolina wants to show you our wonderful staff! Please browse through these bios of our staff so you can see the wonderful people that are here to help you with all your vision needs. We are proud of what we offer and we want you to know it and choose us as your eye care provider. 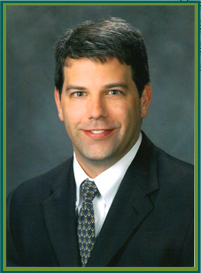 Dr. Taylor is a North Carolina native having grown up in Albemarle, NC. He received his bachelor’s degree at the University of North Carolina at Wilmington and his Doctor of Optometry degree from Nova Southeastern University in Fort Lauderdale, Florida. He gained valuable clinical experience during externships at Bascom Palmer Eye Institute in Miami, Florida. He graduated with honors and was also the recipient of Pioneer Instruments’ Primary Care Award for excellence in primary care performance. Dr. Taylor practiced in Wilmington, NC for two years immediately following graduation. He then moved to Onslow County and worked with the Eye Care Center in Swansboro for 5 years before opening Jacksonville Vision Center. He is a member of the American Optometric Association and North Carolina State Optometric Society. Dr. Taylor is actively involved in the community and his church. Dr. Taylor is married and has three children.